It's here! 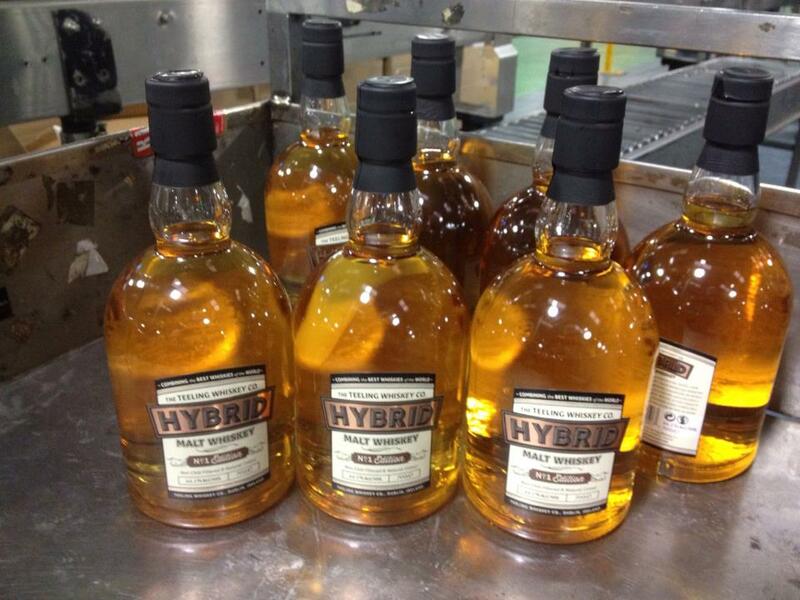 The Teeling Whiskey Company has launched its first whiskey, the Hybrid Malt, Edition No. 1. Although Teeling is a new company, this is a whiskey with a past. In 2004, Bruichladdich launched the first of a series of "Celtic Nations" blended malts. It contained 85% 10 year old Bruichladdich malt (including, it is said, a little of their more heavily-peated Port Charlotte style) and 15% Cooley peated malt (ie Connemara). The Scottish Whisky Association (SWA) threw a fit at this "product of Scotland & Ireland" and the rest of the series was shelved. Two hogsheads of this chimera were left orphaned in an Islay warehouse until, eight years later, they were adopted by Jack Teeling, on the lookout for something a little unusual. This is the new Hybrid Malt. It doesn't come with an age statement but what was ten years old back in the Celtic Nations days is now a rather mature 18 years. It's released at its cask strength of 44.1% in a limited edition of 1,200 bottles. It is neither chill-filtered nor coloured. Given the SWA's conniptions, it's unlikely we'll be seeing more Irish / Scottish hybrids but the "No. 1 Edition" on this bottling hints at future blends with the output of other nations. At an Irish Whiskey Society tasting last year we sampled a 1934 blend of Irish pot still and American whiskey. Perhaps it's time for another transatlantic pairing. The Hybrid Malt will be available in Ireland from the Celtic Whiskey Shop and at Dublin Airport, recommended retail price €50. Consignments are being shipped to the UK and Benelux countries too.